Front and Back View of the Hanger. 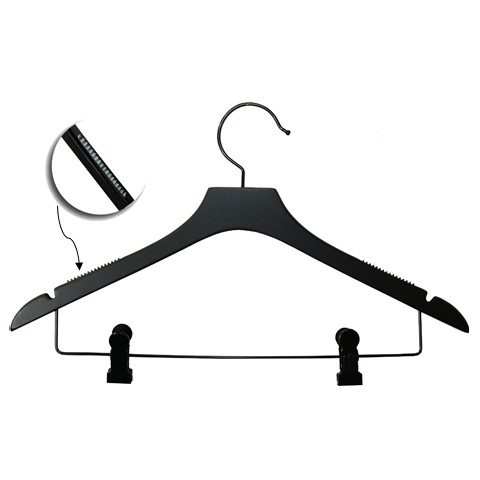 17" Matte Black Wood Combo Hanger With Deluxe Clips, Notches & Rubber Strips. Notches and rubber strips for securing garment. 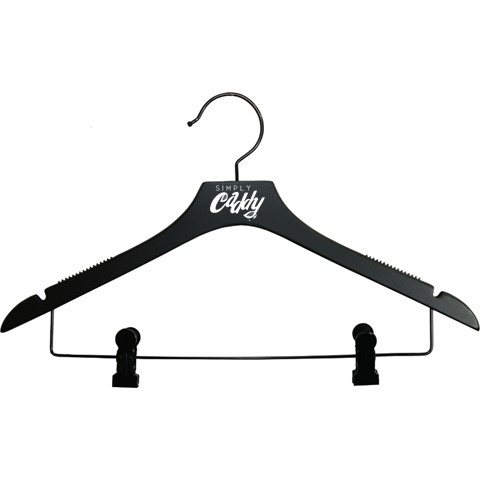 Anti-stain cushion clips make this hanger great for keeping costume pieces together. The Beauty Bag Mini Accessory Box Folding Stool 18"